Joe Del Bosque’s Mexican-born parents were migrant farm workers in the 1930s and 1940s. In the 1950s, his father Jose landed a permanent job as a cantaloupe grower, and Del Bosque was raised on the farm, where he started working at age nine. When he started his own career in agriculture, Del Bosque functioned as a custom farmer, running farming operations for others. In 1985, he established his own farm. Today, Del Bosque’s Firebaugh-based operation spans 2,000 acres, about half of which are leased. He grows almonds, cantaloupes, honeydew melons, asparagus, cherries and tomatoes, 300 acres of which are organic. 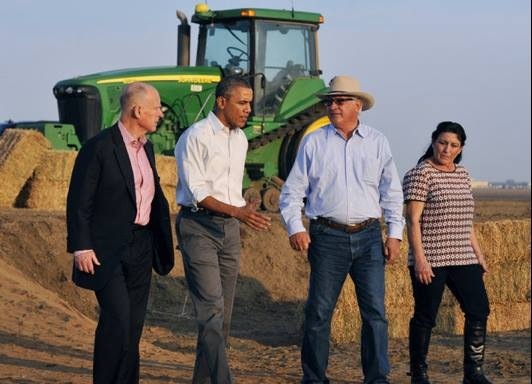 Faced with the drought and rising water costs, Del Bosque was compelled to reduce water usage on the farm. 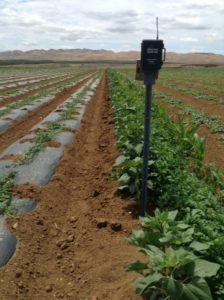 Del Bosque Farms has also improved its fertilizer efficiency by injecting fertilizer through its drip irrigation system. “Our fertilizer is put on very uniformly and exactly where we need it. It isn’t put in the soil some place where it can leach out. We are putting it right into the root system,” says Del Bosque. 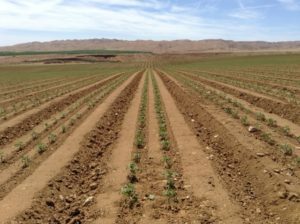 In order to attract beneficial insects, Del Bosque Farms has planted strips of clover, sunflowers and other flowering plants between plantings of organic melons. Once Del Bosque shifted to buried drip irrigation, he couldn’t tell exactly where the drip irrigation was located. According to Del Bosque, that inhibited him from tilling in a precise fashion. To overcome that problem, he switched to GPS-guided tractors in the early 2000s. “The first systems cost over $40,000 a tractor. As time went along, they became a little cheaper, and we absolutely had to have it with the buried drip irrigation,” said Del Bosque.